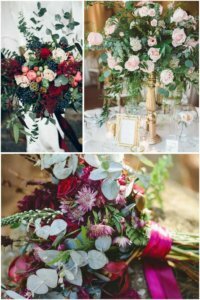 The trend for weddings 2019 is definitely the Baroque Wedding perfect for a destination wedding in Italy. This is a style that is very different from the greenery we have seen so far. We personally are very fond of the greenery that we believe is a style that will remain timeless especially for those who want a wedding of simplicity and refinement of details. There is no opulence but there is a lot of elegance in the use of green, white and lighter pastel tones. But we also really like being able to change, reinvent ourselves and experiment with new and different outfits. For this we welcome with great pleasure this new trend that also fits very well within the ancient Venetian Villas in which we work. 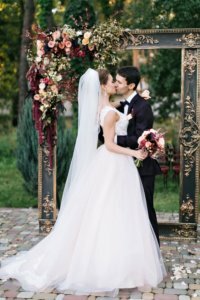 Italian frescos and gardens are the most suitable scenario for a wedding characterized by particular and striking stylistic elements. Gold will surely be the trendy color to match with, however, bold colors for the most daring, such as emerald green, turquoise, violet, coral or purple, and for the more refined a powder pink or a delicate lilac contrast. 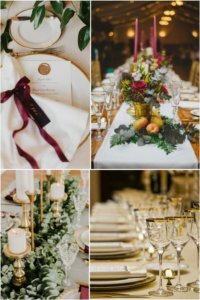 The gold can be found in the mise en place, the chairs can be golden, in the centerpiece that will be full, in the use of many details such as vintage frames and candlesticks. We must always remember not to exceed, as in everything else: we must know how to balance the various elements, looking for harmony, both in the location (which if it was already very much “full” our advice is not to appense it) and details, from the wedding dress to the mise en place, from the floral arrangement to the wedding invites. As for the menu we insist a lot on the importance the quality, we are very happy because food and wine are one of those things that everyone talk about longer even after the wedding and it is one of our points of strength, so much that we always receive many compliments from the guests who are really impressed by the menu. The baroque style can also be used to decorate dishes, create different heights on the tableand use many brightly colored decorations, such as berries and fresh flowers. 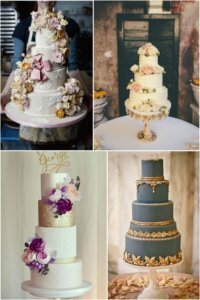 Even the cake as always should follow the style of the wedding and if you opt for a baroque style you can have a lot of fun with the decorations, although we always recommend not to overdo it! And then Prosecco with no limits! We are here to help you, to find the perfect solution for you and for your special day, we will make your dream come true!